The suspect walked his girlfriend to their vehicle and returned with a handgun, shooting the victim in the stomach. 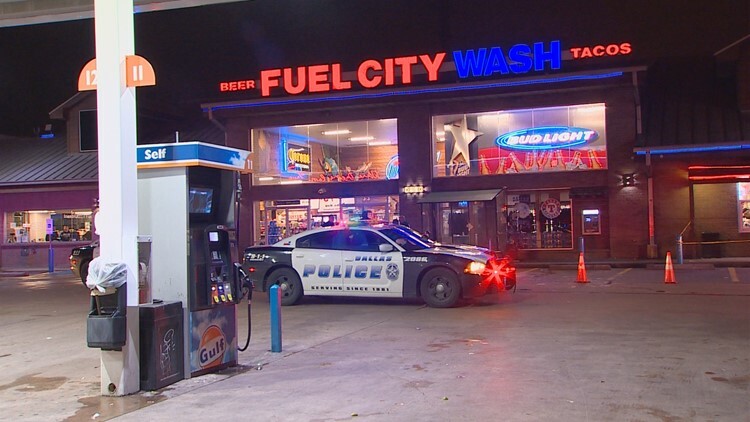 Police are investigating an early-morning shooting at a Fuel City gas station in Dallas, where one person was shot in the stomach. Detectives were dispatched about 4:30 a.m. to the Fuel City on South Riverfront Boulevard, just south of downtown. The victim had gotten into a "possible encounter" with the suspect and the suspect's girlfriend, detectives learned. The suspect then walked his girlfriend to their vehicle and returned with a handgun, shooting the victim in the stomach. The suspect fled the scene. The victim was taken to a hospital. The victim's condition was unknown later Saturday morning.